E-learning courses are most effective when they help learners quickly grasp new ideas, skills, and concepts in a way that lets them retain that information for the future. Gamification can help you achieve this. In fact, most of the best e-learning courses I’ve seen in my career include gamification. Gamification is so effective because it adds an element of fun to the learning process while improving the overall experience. Ultimately, this helps achieve your business objectives. Before going any further, let’s define exactly what gamification in e-learning is. Gamification involves adding a game-like feature to an e-learning module. This can be a task the learner does to get points, move up a leader board, or unlock a badge. Using gamification as a tool in education is not a new concept. In fact, it has been used for decades, although modern technology makes it easier to create gamification elements. People are also now more familiar with games than ever before, particularly games they play on a computer or phone. Games like Angry Birds and Candy Crush demonstrated that people of all ages and social backgrounds will play games when they are easily accessible, cheap, and interesting. Organizations should take advantage of this interest in games when creating training courses. Improves motivation levels – courses are more effective and they achieve better results when learners are motivated to learn. Adding gamification elements to e-learning courses helps to improve learner motivation. Makes courses fun – completing an e-learning course that includes gamification doesn’t feel like work for the learner. This will make them more willing to complete the course, including doing the course on their own time. Improves engagement – learners enjoy the learning process when you get gamification right. This results in them engaging more fully with the course rather than going through the motions to get to the end. Retention rates improve – as the learner is more motivated and engaged, retention rates improve. This is because they more actively participate in the course which helps them to better understand the topic and retain that knowledge for the future. Helps with assessment – it is possible to add assessment features to gamification elements in your e-learning courses to give you feedback on the progress of learners. Gives you a productivity boost – when e-learning courses are uninteresting, learners take longer to get through them. In addition, they are often easily distracted so don’t complete a module after starting. They may come back later but this disrupts the learning process. In addition, if the learner thinks the course is boring they will put off doing it. All this impacts on productivity, but gamification is a solution. Better learning experience – learners will also have a greater sense of achievement when they complete courses that include gamification, particularly if the gamified elements have rewards like badges or points. Improve course content – it is also possible to use gamification to get feedback on the effectiveness of your course. You can then use this to make improvements when you release a new version or do an update. For example, you might find it takes multiple attempts for learners to achieve a particular badge. This information might indicate you need to explain a concept in a different way or add further examples. 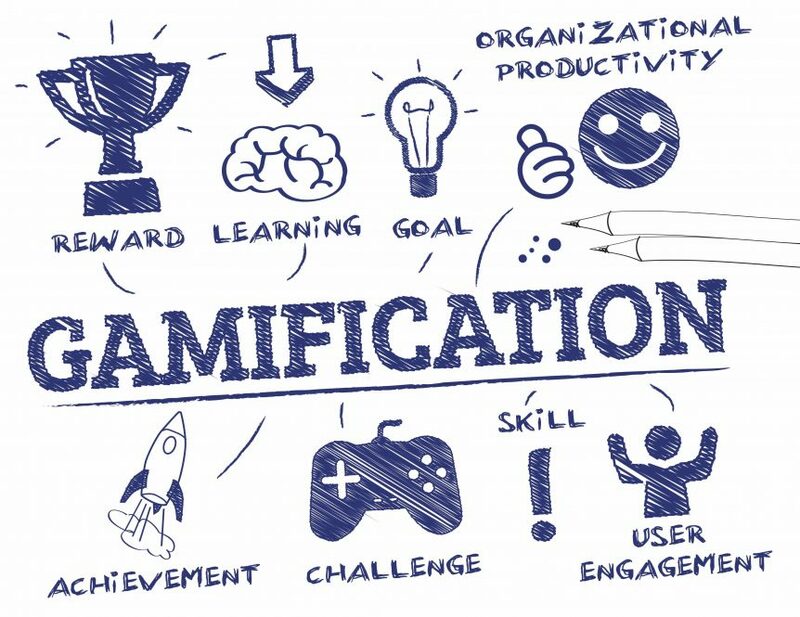 Gamification elements add fun to e-learning courses but it is important that it is not fun for the sake of being fun. You need to get the right balance between giving the learner something fun to do and helping reinforce the skill, concept, or topic. In other words, gamification should enhance the learning experience and improve results. Also, it is important to make gamification elements as unique and interesting as possible, avoiding anything that is corny, mundane, or unimaginative. To achieve this, you will probably need to outsource production to get the right technical, creative, and educational skills. When you do, results will improve and you will get a better return on investment. Ultimately, e-learning works best when it features a variety of elements including video, images, text, and quizzes. You should add gamification to that list too.